Kevin Daniels Hand Signed and Numbered Limited Edition Framed Print: "Hand n' Hand"
Description: This Art is framed under Glass (as shown) using archival tapes and mounting, matted and framed in the highest quality hardwoods, finished with a paperback dustcover, ready to hang with attached hardware. Please note, we also offer a full selection of framing options. 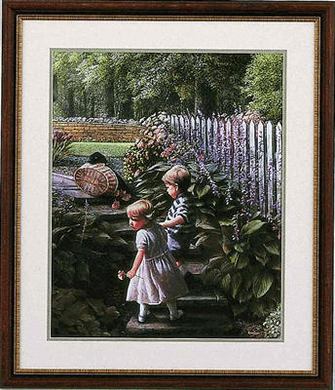 Availability: "Framed Art" products are made to order by craftsman, so additional time is required. Please allow up to 3 weeks for delivery.